Facing resistance when implementing new development process changes within an organization? Sometimes big changes need to be packaged to make them appear to be minor adjustments to the current process. This book shows you how! This Palm Reader (PDB) eBook includes specific tips on introducing new development methods to your team and to your organization. It includes specific examples of introducing software development processes such as Extreme Programming (XP), Scrum, and other agile methods. 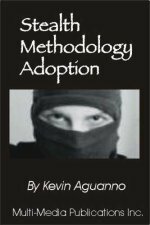 The Stealth Methodology Adoption approach, however, is applicable to more than just software development projects -- you can use these techniques for most development process changes.